Vietnam should focus its renovation efforts in three main fields: infrastructure, human resources and legal reforms, if the country is to boost its economic competitiveness and achieve sustainable growth, experts said. 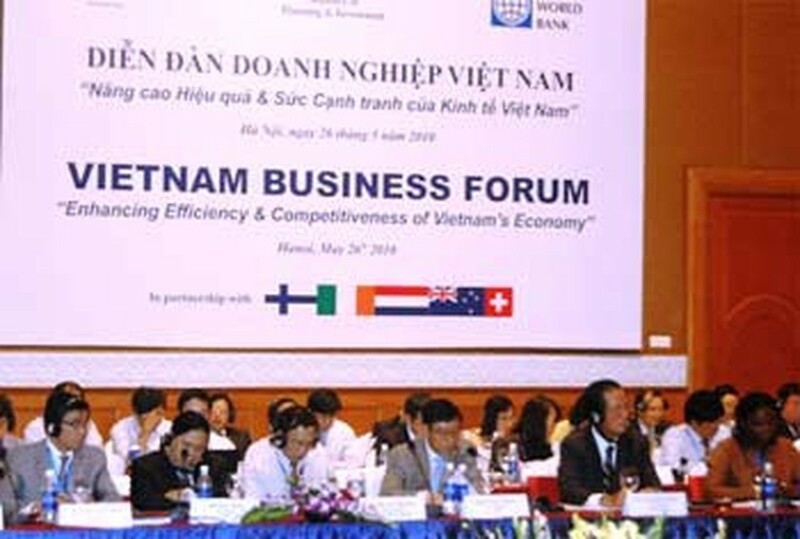 They made the statement at the Vietnam Business Forum held in Hanoi May 26, titled, “Improving the efficiency and competitiveness of Vietnam's economy,” brought together local and foreign experts, ministerial representatives, economic organizations and businesses. Speaking at the event, Alain Cany, president of the European Chamber of Commerce in Vietnam, said 2010 would prosperous for Vietnam’s economy and that he expected GDP to grow by over 6.5 percent. Citing its recent survey, the Japan External Trade Organization (Jetro) said Vietnam enjoyed a competitive edge due to low labor costs. The survey also found 58 percent of Japanese companies operating in Vietnam wish to expand their business, the highest rate among Japanese businesses operating in ASEAN countries. Challenges Vietnam must tackle in the remaining months of the year include maintaining growth while restraining inflation and continuing to seek solutions to sustainable development, Mr. Cany said. In order to obtain sustainable growth, Vietnam should shift its economy from manufacturing inexpensive products to producing more expensive products, especially within the hi-tech industries, he said. Vietnam also needs to focus its efforts on improving infrastructure, developing energy, strengthening human resource quality, and stepping up law and administrative reforms, other experts said. Mr. Cany cited the main impediments to European investment in Vietnam have been the country’s poor infrastructure, weak human resources, and inconsistently inexplicit legal system. European entrepreneurs, however, believe in Vietnam’s vast economic potential and consider the country as one of the most attractive destinations for international investors in the near future, particularly this year, when Vietnam holds the rotating ASEAN chair. Emphasizing the need to improve the infrastructure, experts pointed out that Vietnam has fallen behind its neighbors in this crucial field. As a result, Vietnamese businesses have to spend about US$1.7 billion per year towards goods in transit, they said. 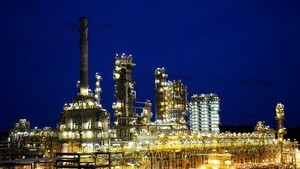 Planning and Investment Minister Vo Hong Phuc said the Vietnamese Government recognizes that infrastructure improvement will be a breakthrough for economic growth. “Vietnam needs to have a fund of $140 billion to invest in such fields as telecommunications, seaports, airports, roads, railways, and aviation in the next 5-10 years,” the minister said. “The Government will mobilize all resources, at home and aboard, to make the funds available in the future,” he added. Many delegates said that Vietnam should promote the public-private partnership (PPP) model, which is a key element to infrastructure development. Minister Phuc said the Government would launch some infrastructure projects based on the PPP model, in which it would contribute 30-50 percent to the total capital needed. Transport Deputy Minister Truong Tan Vien, said the country’s infrastructure picture will be brighter by 2015, when a series of large projects are completed. These include three expressways that link Hanoi to Hai Phong, Lao Cai, and Thai Nguyen; the Gie Bridge-Ninh Binh highway; the upgrade of Noi Bai airport’s terminal; the Trung Luong-Can Tho expressway; the Ho Chi Minh City-Dau Giay expressway; the Thi Vai-Cai Mep port; and the Van Phong transit port.